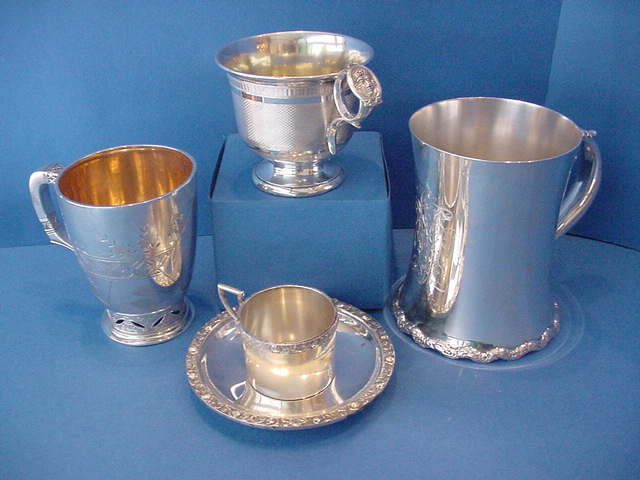 Use the Quick Index below to click on the word caption links and proceed to the relevant web page. 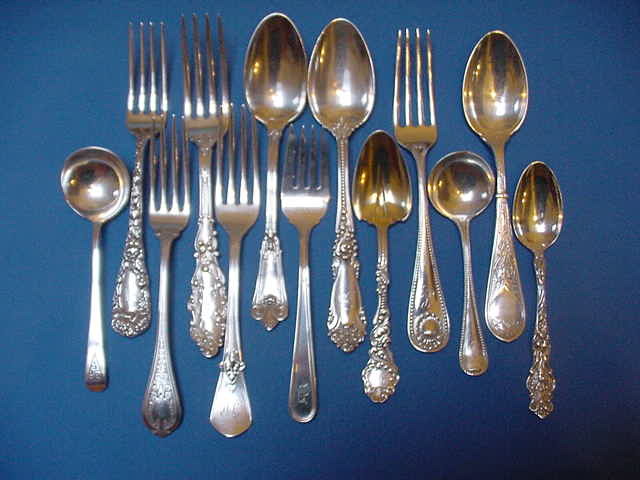 Use the Quick Index above to click on the word caption links and proceed to the relevant web page. 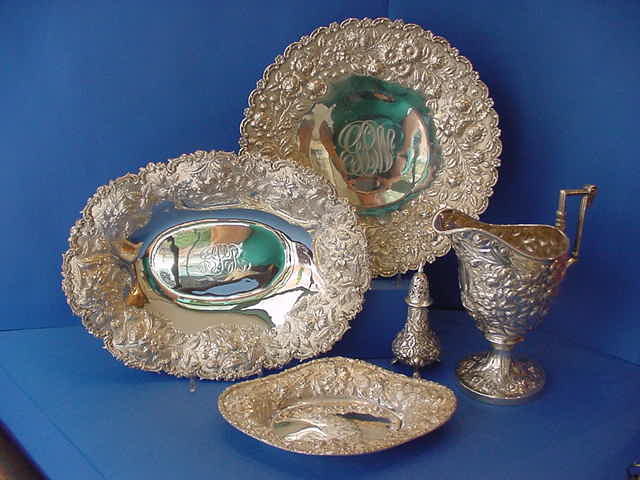 Opened on Baltimore's Historic Antique Row in 1976 by Frederick, Nancy & Patrick Duggan, Imperial Half Bushel is a shop specializing in antique and estate silver. 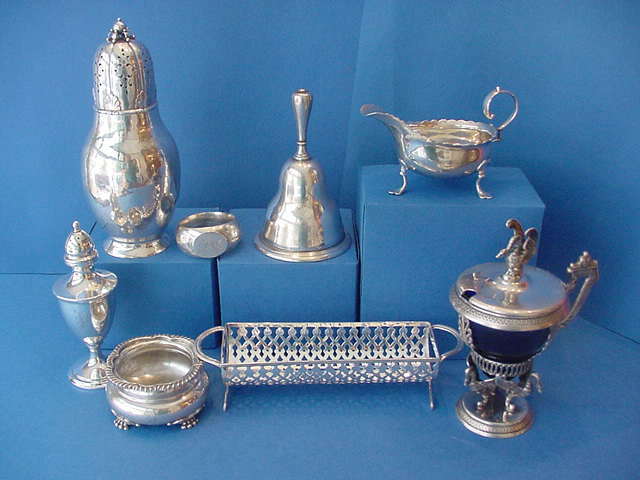 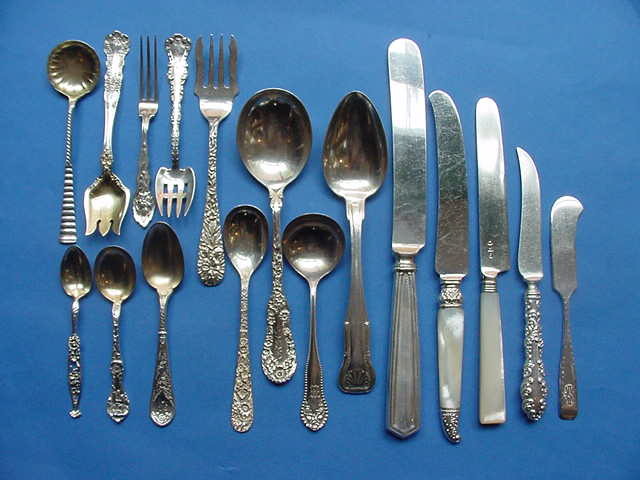 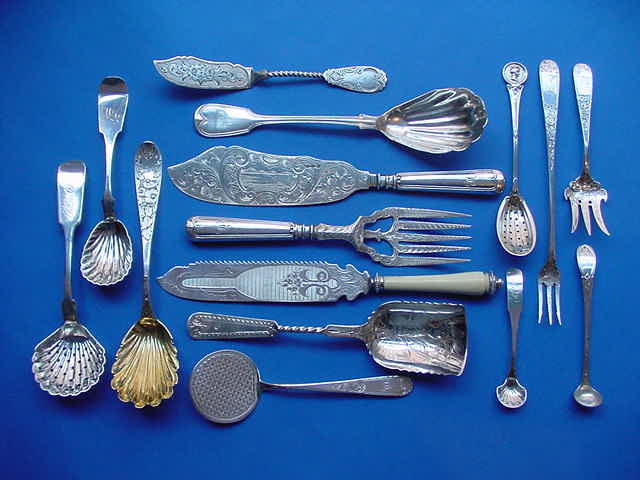 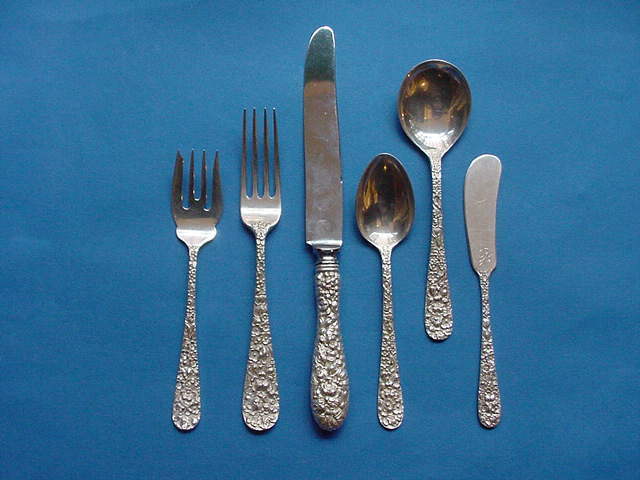 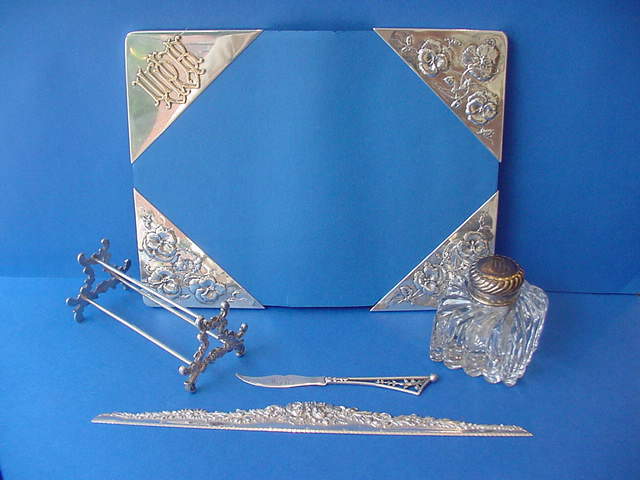 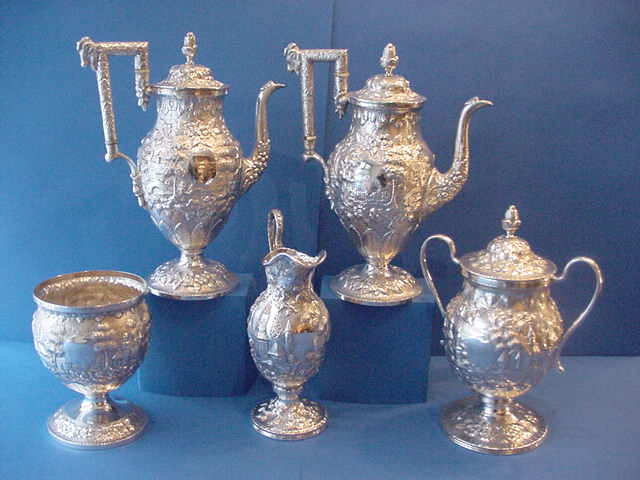 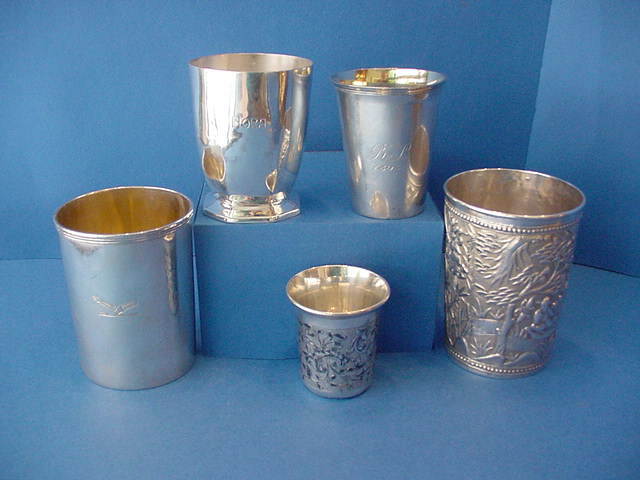 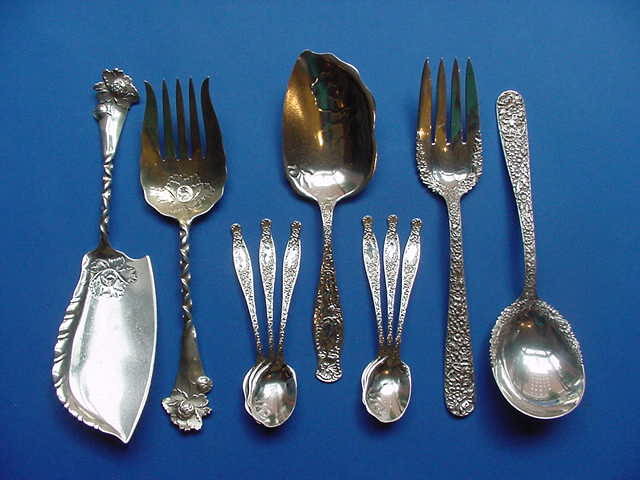 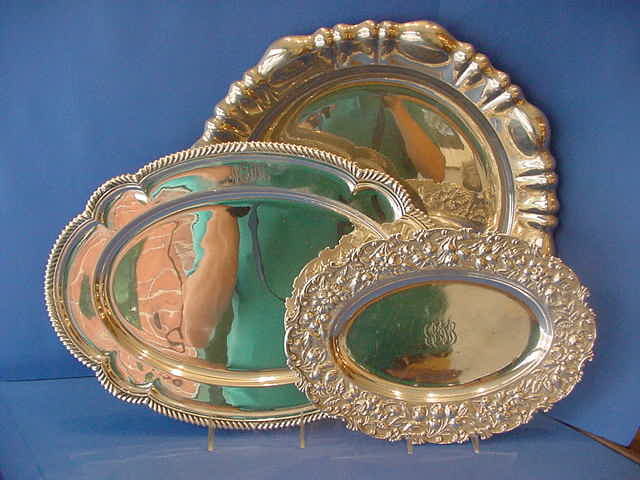 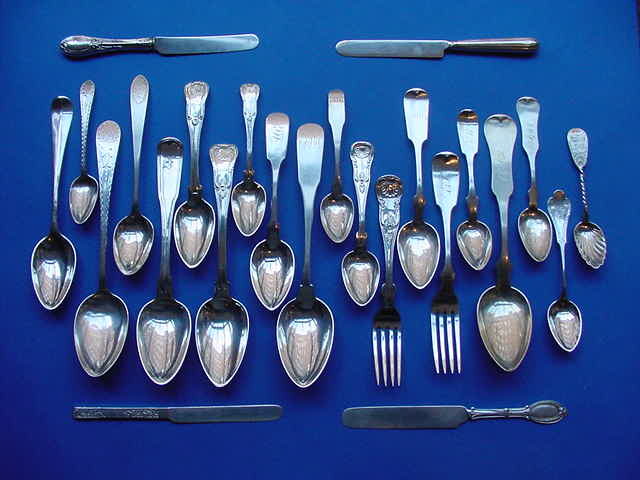 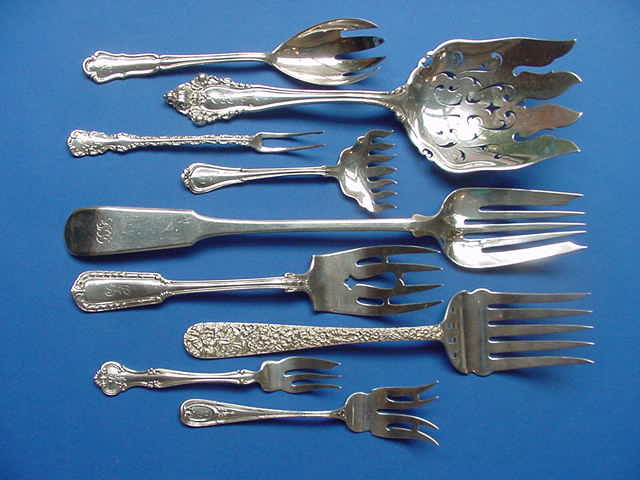 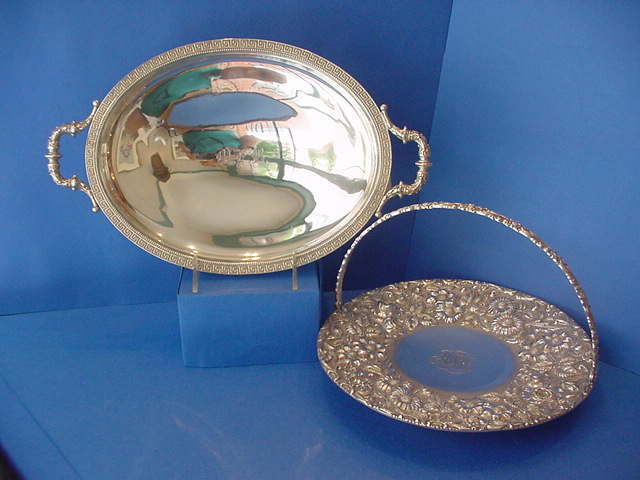 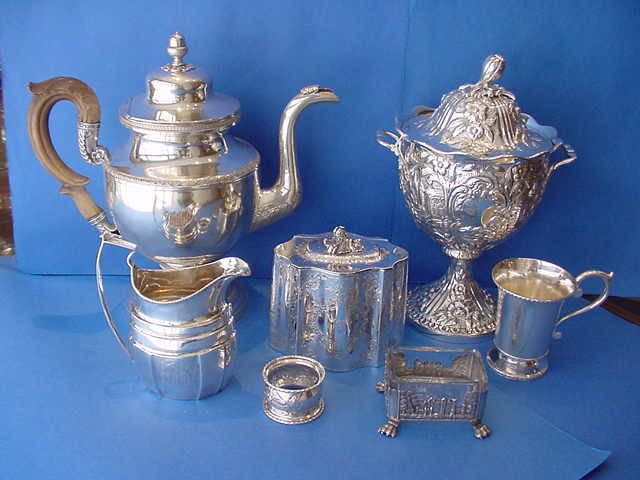 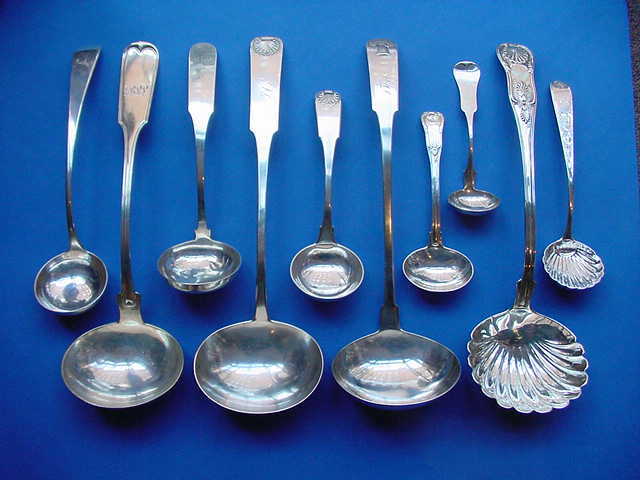 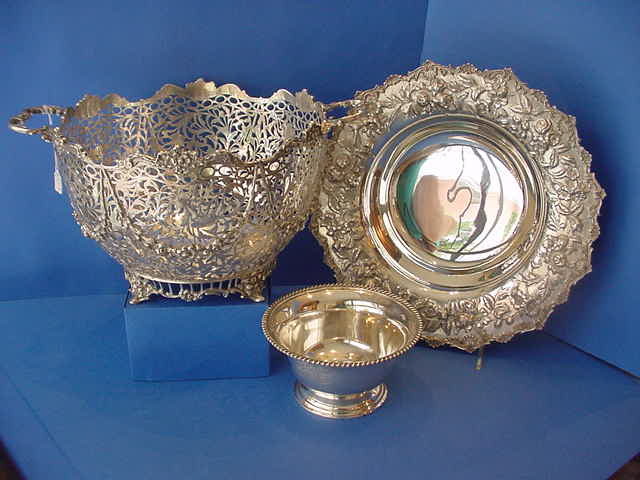 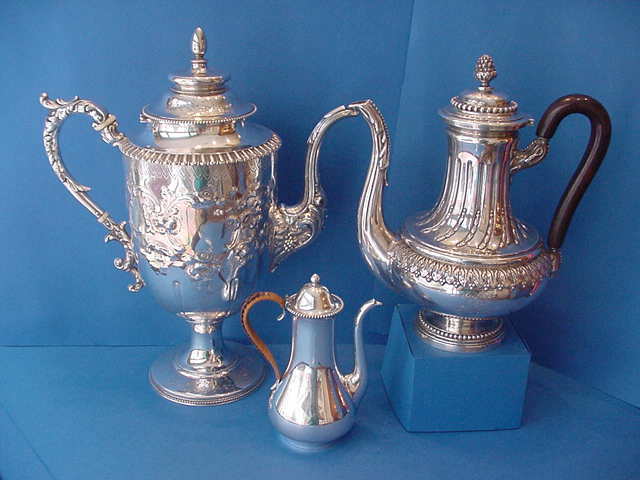 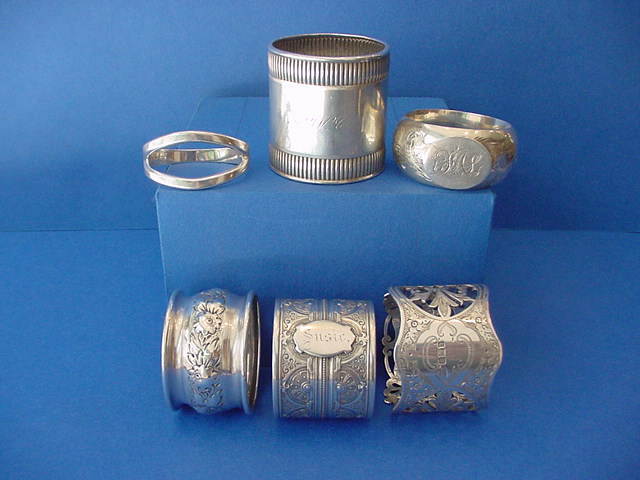 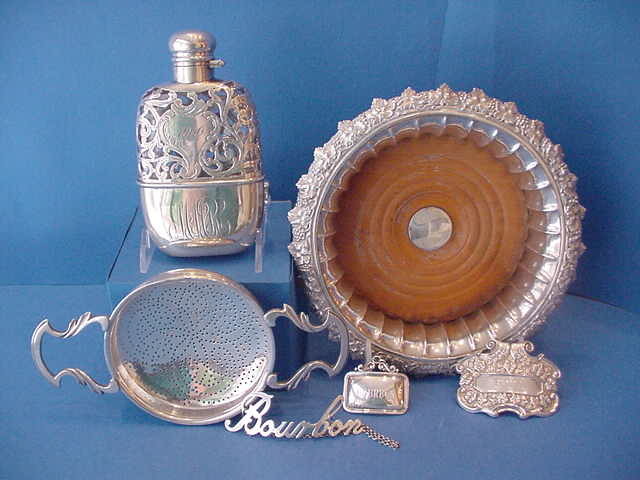 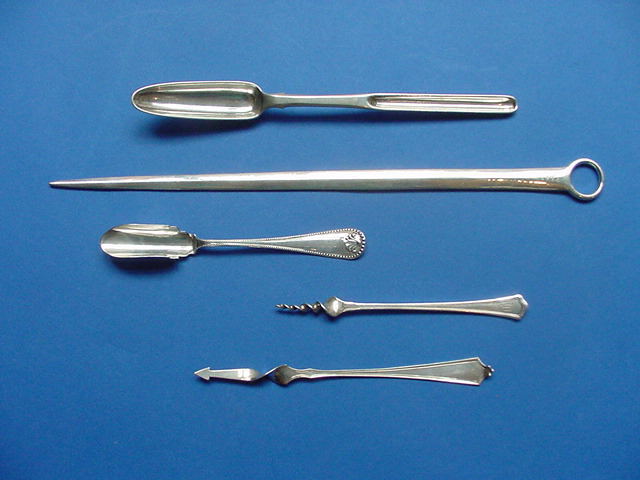 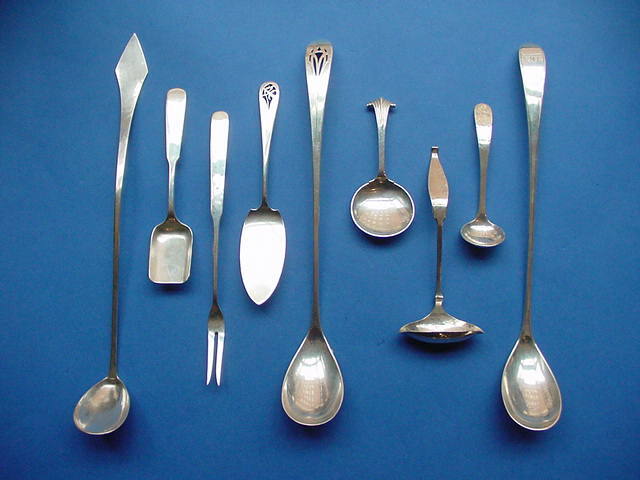 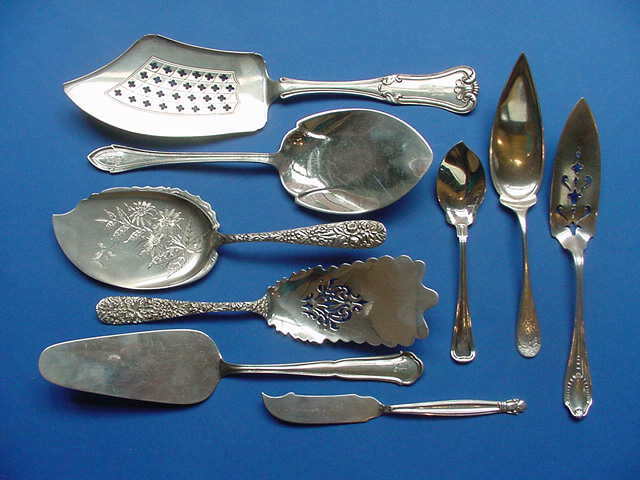 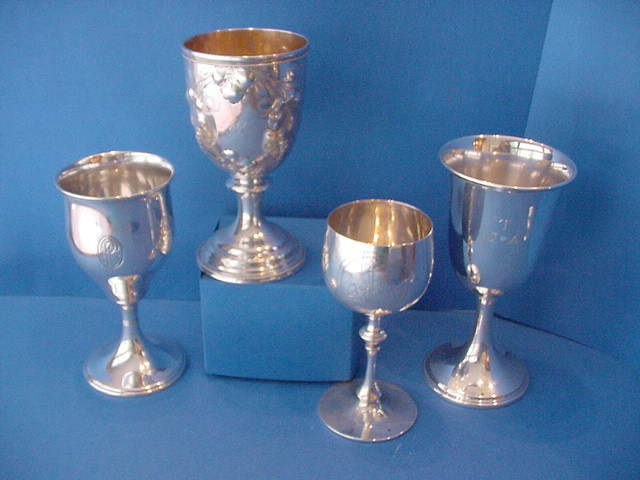 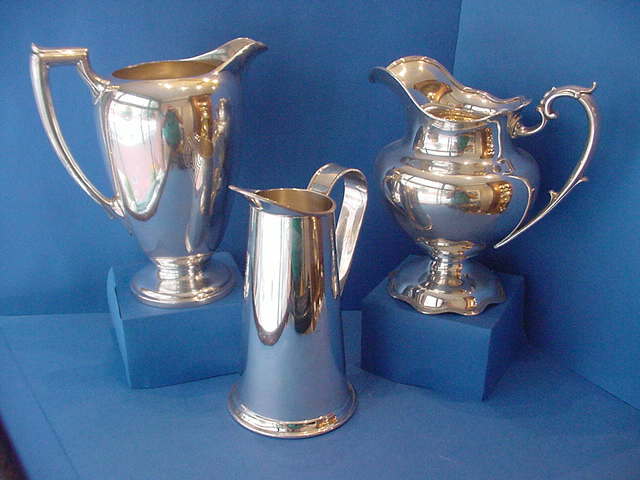 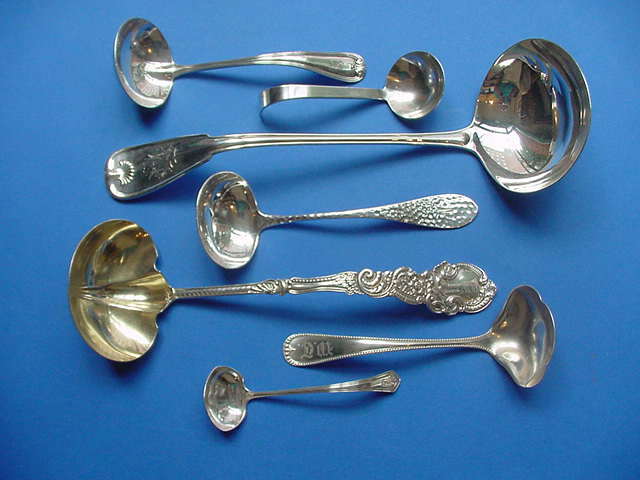 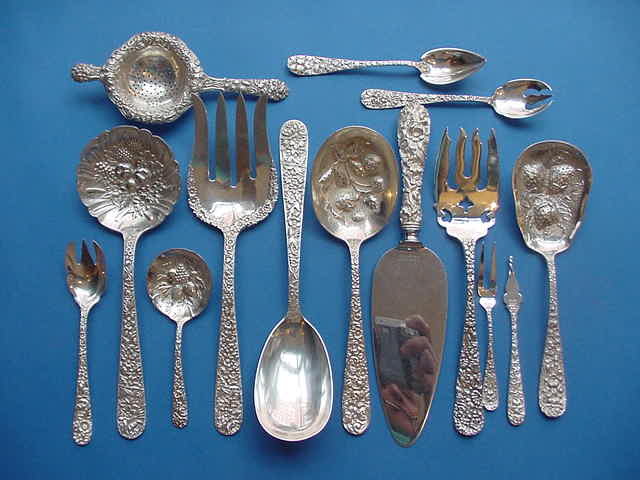 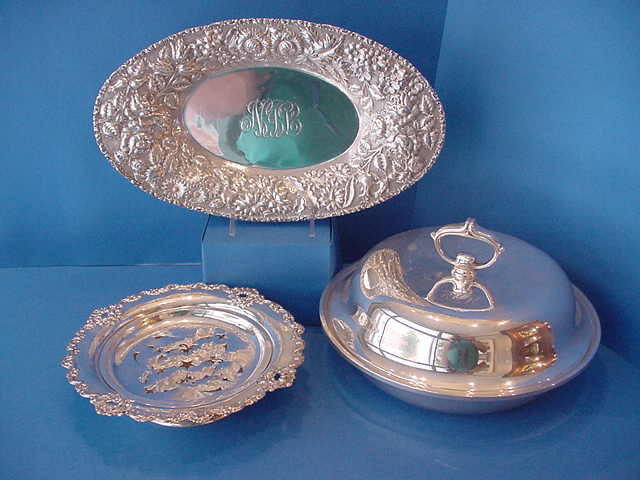 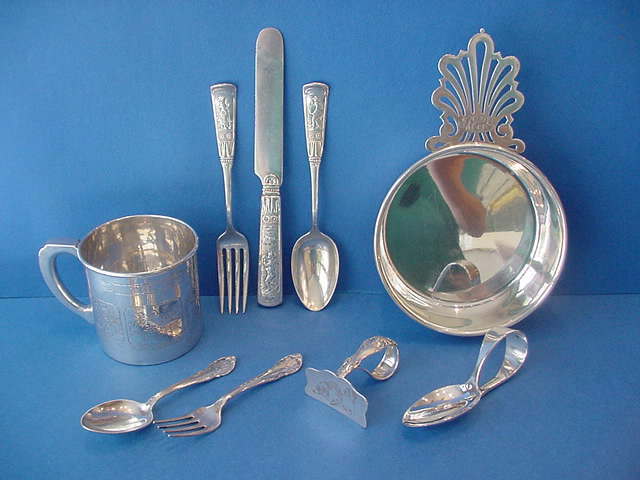 Much of our stock celebrates the heritage of silver production in Baltimore including examples of the repoussé designs made famous by Samuel Kirk, Andrew E. Warner, and the later generations of manufacturing silversmiths that finally concluded with the closing of Kirk-Stieff Inc. a few years ago. 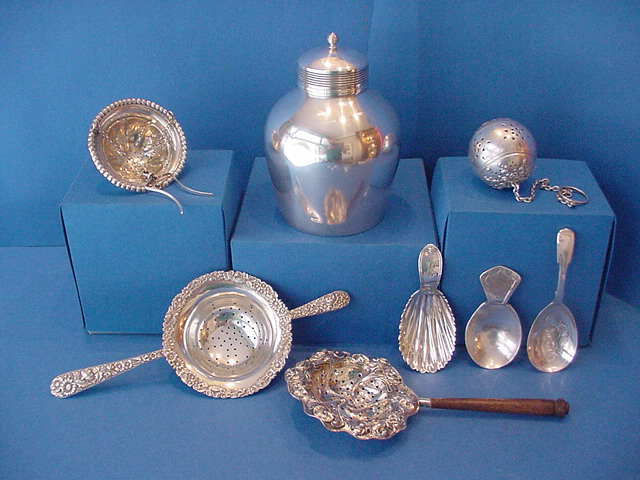 We also have other American silver as well as a small but often interesting group of foreign silver. 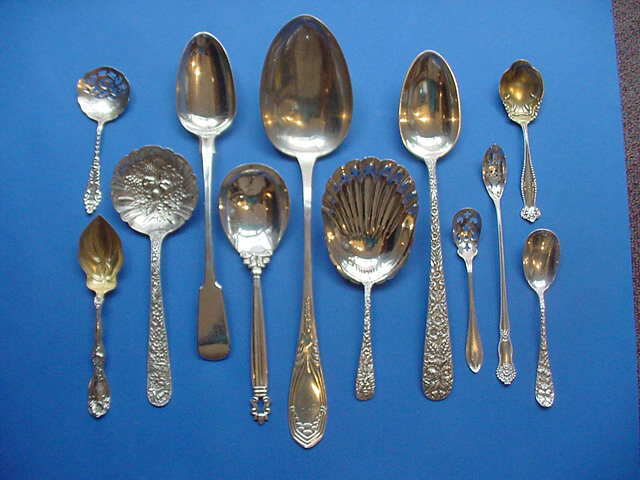 We hope to evolve into a more user friendly website that will feature some of our stock for sale, short informative articles and information, current level of progress on several research projects, and possibly even provide an answer to your attempt to find or identify something or someone in our field of expertise. 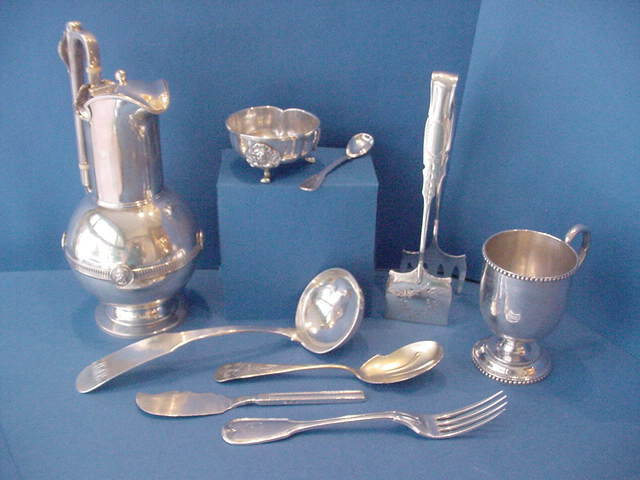 We will be adding new web pages detailing pieces we available in Base Metalwork, Books, Ceramics, Furniture, Glassware, Paintings, Photography, and Prints. 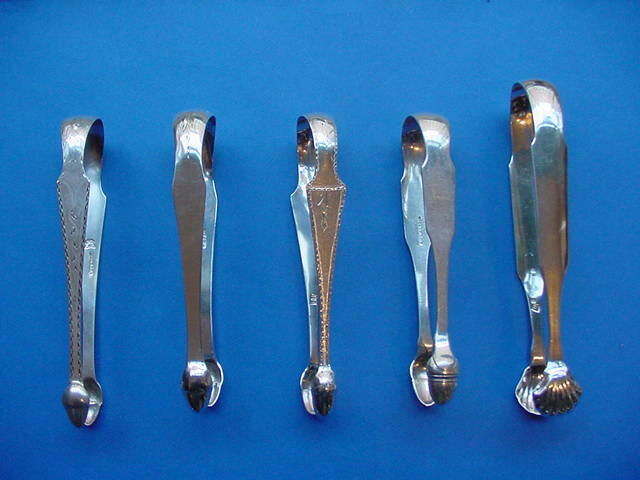 David Duggan is supplying most of our furniture; you can see some of his work at www.DugganFurnitureRestoration.com. 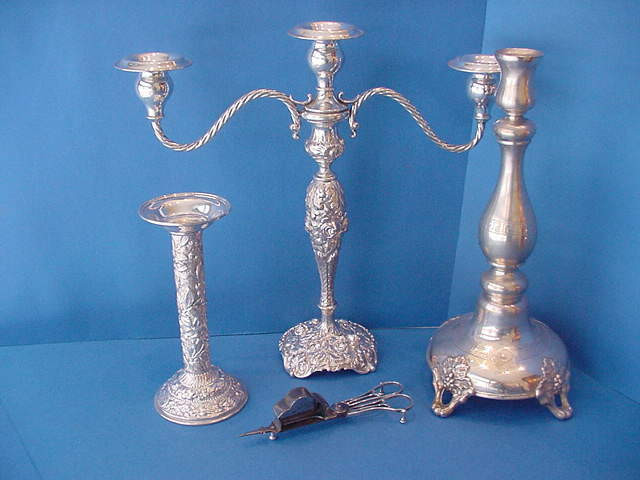 For our latest additions please check out our New Listings. 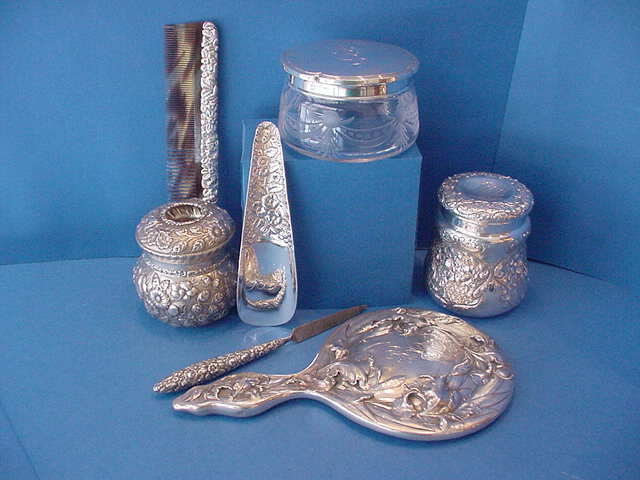 Our regular shop hours are Wednesday - Saturday 10:30am-5:00pm (Eastern) and Sundays 1:00pm-5:00pm, Mondays and Tuesdays are by chance or appointment, and the entire month of August is by appointment. 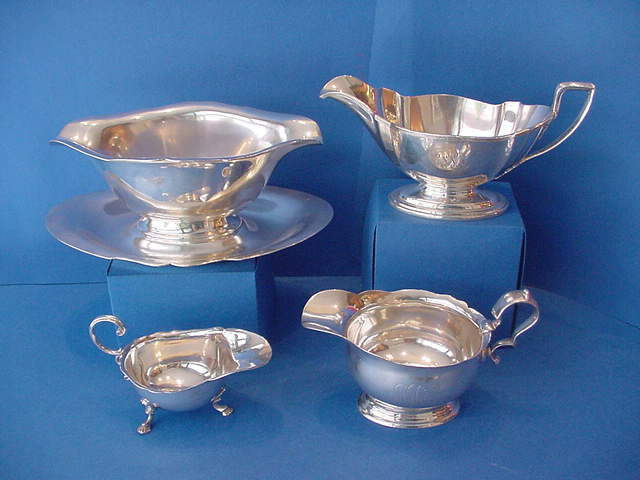 For further information you can e-mail us at ihb@imperialhalfbushel.com or call (410) 462-1192 .